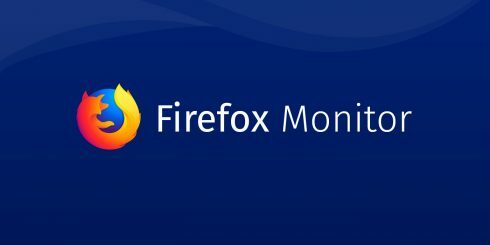 Mozilla has announced the release of Firefox Monitor, which will notify people when they have been part of a data breach. Users can get started by looking up their email and finding out if it has been part of a past data breach. They can then sign up to be notified if a breach ever occurs in the future. According to the company, Firefox Monitor is just one of many features it will be rolling out this fall to help people stay protected online. “If you’re wondering about how we’re handling your email address, rest assured we will protect your email address when it’s scanned. We talked about the technical details on how that works when we first launched the experiment. This is all in keeping with our principles at Mozilla, where we’re always looking for features that will protect people’s privacy and give them greater control when they’re online,” Nick Nguyen, vice president of product strategy at Mozilla, wrote in a post. IBM has introduced new Watson solutions and services for use in nine different industries and professions: agriculture, customer service, human resources, supply chain, manufacturing, building management, automotive, marketing, and advertising. According to the company, this will help people and organizations accomplish more with AI. AWS and Salesforce have expanded their global alliance with the announcement of new product integrations that will enable organizations to securely share and synchronize data between the two companies’ services. They have announced a framework for connecting the Salesforce Platform with AWS PrivateLink and Amazon connect. This will enable customers to do more with their customer data than currently possible, such as applying big data analytics or machine learning, Salesforce explained. It also announced AWS integration with Salesforce Platform Events and integration with Amazon Connect for Salesforce Service Cloud. Security company Snyk has raised $22 million in a Series B funding round. The funding round was led by Accel, with participation from GV and existing investors such as Boldstart Ventures and Heavybit. Snyk will use the funding to scale its business, increase customer dedication, define and grow a new category of runtime open-source security, and grow the Secure Developer community. “This fundraise demonstrates a huge vote of confidence in Snyk’s developer-first approach, and in the belief that all of you – the amazing community of developers and forward looking security experts – are ready to own and fix open source security,” Guy Podjarny, co-founder of Snyk, wrote in a post.